CarGurus has 26,793 nationwide C-Class listings starting at $799. Mercedes-Benz expands its C-Class lineup for 2011 by adding a new C-Class coupe, which should be available in several trims, and gives the exterior of the C-Class a freshened look with a new grille, a reshaped hood, larger air intakes, and restyled headlights and taillights. The Mercedes-Benz C-Class continues to come up on the lower end of the scale when matched up against highly competitive vehicles from BMW, Audi, Infiniti, and Cadillac, and still falls short when it comes to rear-seat legroom and cargo space, as well as some interior appointments. Despite its relatively minor shortcomings, the 2011 C-Class carries on the tradition established by vehicles displaying the three-pointed star. It delivers a solid, capable ride, decent performance, a well-organized interior and, of course, the cachet that comes with owning a Mercedes. Exterior styling updates for 2011 give the C-Class a slightly more aggressive yet still very attractive appearance, while the new C-Class coupes will expand trim choices for prospective buyers. The Mercedes-Benz C-Class receives a minor mid-generation facelift for 2011, which includes a reshaped grille, contoured hood, and larger air intakes, as well as updated bumpers, headlights, and taillights. In addition, Mercedes announced plans to debut a new C-Class Coupe, which will go into production early in 2011. The C-Class coupe will help fill the vacancy left by the CLK coupe, which the automaker rebadged and folded into the E-Class lineup. Like the sedan, the coupe features an upsweeping bodyline, which melds into the sweptback roofline and reshaped rear end. Although rumors and suppositions abound, there's no word yet on an AMG-enhanced coupe or a C-Class convertible. Inside, the new C-Class coupe will borrow a number of elements from the E-Class coupe, including its seat design and a larger, repositioned navigation system monitor. In addition, the automaker will include a number of standard and optional tech features currently available for the E-Class coupe (but not for the C-Class sedans), including an easier-to-use COMAND system, lane-departure and blind-spot warning systems, cornering headlights, and an automatic parking assist system. For most of its other features as well as its powerplants, the coupe will borrow heavily from the C-Class sedans, which remain Mercedes' most popular vehicles. Current C-Class sedan trims include the C300 Luxury Sedan, the C300 Sport Sedan, the C350 Sport Sedan, and the C63 AMG. The C300 and C350 trims retain their V6 engines, while the C63 AMG continues with its V8 powerplant. All ride on rear-wheel-drive platforms, although owners can add the automaker's 4Matic all-wheel-drive system for improved stability and handling. Powerplants for the 2011 C-Class roll over unchanged from the previous year. A base 228-hp, 3.0-liter V6 engine powers the C300 Luxury and Sport trims. It pumps out 221 lb-ft of torque and drives the sedans from 0 to 60 in 7.1 seconds. A seven-speed automatic transmission comes standard in the C300 Luxury sedan. It features Touch Shift, which enables manual shifting. The C300 Sport retains its six-speed manual with a short-throw shifter, although owners can opt for the seven-speed automatic. The C350 Sport sedan retains its peppy 268-hp, 2.5-liter DOHC V6, which delivers 258 lb-ft of torque. It propels the C350 Sport from 0-60 in 6.1 seconds, thanks to variable valve timing, which helps ensure a quick response when accelerating and passing. The V6 mates to the seven-speed automatic. The C63 AMG continues to rocket down the highway, thanks to its hunky 6.3-liter V8 engine, which puts out 451 hp and an impressive 443 lb-ft of torque. The V8, which includes an alloy block and alloy cylinder heads, mates to an AMG SpeedShift Plus manually interactive automatic transmission. The powerplant pushes the C63 AMG from 0-60 in just 4.3 seconds. The 3.0-liter V6 engine in the C300 trims manages fairly respectable fuel economy numbers of 18/25 mpg, while the C350, with its larger V6, posts fuel economy numbers of 17/25. As expected, fuel economy numbers for the C63 check in at a less-than-stellar 12/19. All engines require premium unleaded fuel or a mixture of E85/premium unleaded fuel. The available 4Matic all-wheel-drive system incorporates the automaker's four-wheel electronic traction system (4-ETS) and integrates with the C-Class's standard electronic stability control system to maximize stability and handling on all types of road surfaces. Under operation, the system continually monitors traction and grip, and makes necessary adjustments at the first sign of slippage by sending power only to wheels with grip. The C-Class continues to deliver a solid yet comfortable ride with agile handling, although it doesn't quite live up to the standard set by competitors in this class, including the BMW 3-Series, Audi's A4, and the Infiniti G35. The Sport sedan most closely lives up to the segment's high standards of handling, thanks to its firmer coil springs and shock absorbers, as well as its lowered ride height. In addition, the Sport sedan has staggered 17-inch AMG six-spoke wheels, which are wider in the rear (8.5 inches) than in the front (7.5 inched). The wider wheels in the rear help improve control when accelerating and negotiating turns, according to Mercedes. The C63, with its AMG sports suspension, naturally rises above the others when it comes to ride and handling. The sports suspension features AMG shock absorbers and stabilizers, which automatically adjust the air spring tuning, depending on the driving situation, to provide dynamic handling. Agility control, which automatically controls damping at each wheel depending on road and load conditions, comes standard on all trims. The C300 and C350 trims ride on 17-inch alloy wheels, while the C63 AMG gets 18-inch, five-spoke alloy wheels, also staggered (8 inches wide in the front vs. 9 inches in the back). The midsize C-Class seats five passengers in its well-organized, luxury-oriented cabin. Burl Walnut accents on the center console, door, and shift gate give the C300 Luxury an upscale feel, while sport-style aluminum trim, recessed instrument gauges, and a black roof liner convey a more performance-oriented feel for the C300 and C350 Sport Sedans. For all three trims, the automaker's MB-Tex faux leather upholstery comes standard. The C300 trims also include eight-way power-adjustable front seats, dual-zone automatic climate control, Bluetooth, electronic cruise control, and an eight-speaker audio system with a 5-inch color display as standard features. In addition, a power tilt-and-slide sunroof comes standard on all trims. The C350 Sport adds Black Bird's-eye Maple wood trim, heated front seats, a 10-way power-adjustable driver's seat with memory, and an eight-way power-adjustable passenger seat, while the C63 comes equipped with such standard features as an ergonomic three-spoke performance steering wheel, an AMG instrument cluster, sport seats with Nappa leather and side bolsters, and AMG-designed headrests. Options for all trims include a hard-drive-based navigation system with a 7-inch screen and a rear parking assist system. According to many owners and reviewers, the interior of the C-Class ably meets but rarely exceeds expectations. Seats are wide, flat, and comfortable, but (except for the C63 AMG) lack side bolstering should drivers get aggressive. Padded surfaces and attention to details lend a definite Mercedes feel, but some complain of a few lesser-quality materials. Others call the interior comfortable and functional but lacking any real excitement. And despite the C-Class's designation as a five-passenger vehicle, the rear seat remains tight for three adults, with limited leg- and hiproom. The C-Class's 12.4 cubic feet of cargo space in the trunk also comes up on the short side when compared to some competitors' cargo capacity, but should prove adequate for most daily around-town requirements. The 2011 C-Class has not yet been tested against the NHTSA's more stringent safety standards, which go into effect for the 2011 model year, but earned good safety numbers for its 2010 vehicles. The C-Class received five out of five stars for protecting occupants during side-impact crashes, thanks to dual-chamber side airbags, added in 2010, and earned a four-star rating for protecting passengers in front-impact crashes. Standard equipment for the C-Class now includes front seat-mounted side-impact airbags, as well as dual front and full-length window-curtain. 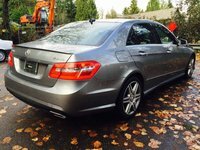 Other standard safety equipment for 2011 C-Class includes electronic stability control, traction control, and antilock brakes with brake assist. The 2011 C-Class gets high marks for its sleek exterior design, smooth acceleration, comfortable ride, and quiet cabin. While some owners feel the BMW 3 Series handles better, they like the C-Class's overall package. The C-Class takes a hit, though, when it comes to performance, since many owners feel it doesn't match up to competitive vehicles from BMW and Audi. In addition, though initially priced lower than its competitors for a base trim, expensive add-ons and optional equipment can ultimately make the C-Class more expensive, which diminishes its value. As in previous years, some owners find the cabin cramped, especially the rear seat and cargo space, and others note awkwardly positioned controls, such as the cruise control buttons and the turn signal stalk. Some owners also find the automatic transmission sluggish, and many would like to see better fuel economy from the C-Class sedans. Overall, however, the prestige of owning a Mercedes-Benz trumps these relatively minor shortcomings, as the C-Class continues to deliver well-designed, well-executed entry-level luxury sedans and coupes. What's your take on the 2011 Mercedes-Benz C-Class? Users ranked 2011 Mercedes-Benz C-Class against other cars which they drove/owned. Each ranking was based on 9 categories. Here is the summary of top rankings. 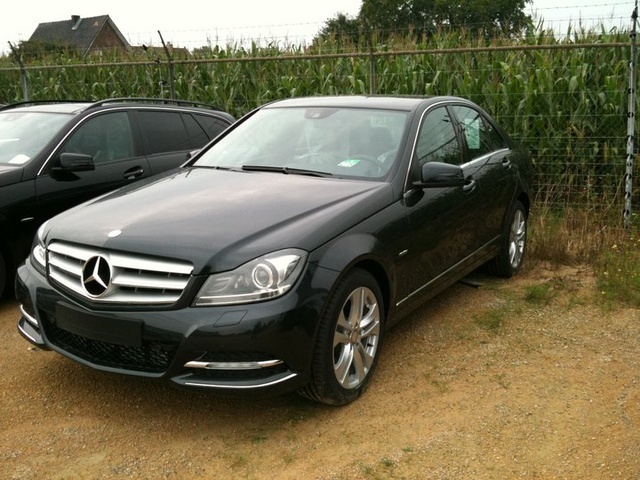 Have you driven a 2011 Mercedes-Benz C-Class? 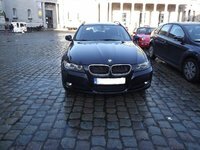 I have a 2011 mercedes c300 luxury but I want to swap grilles for a sport, I know someone selling theirs but they have a 2012 c300 sport, would the grille fit my car?